This is a question I field often, which as a quilter, I really appreciate. There are certain steps a quilt maker can take to ensure the quilt turns out beautifully, with minimal frustration on everyone’s part. You may feel like your longarm quilter performs magic, but the better the quilt top you provide, the better the result they can give back to you! 1. Iron your seams flat. PLEASE!! When seams are not ironed, they can turn the wrong way and cause an uneven surface on the top. The batting absorbes some of this, but if the material used is thick (like denim) or fleece/minky backing and no batting, unruly seams can be a challenge. 2. TRIM YOUR THREADS, especially if you have light and dark fabrics sewn together. I cannot tell you how many beautiful quilts I have quilted that have ‘varicose veins’ because the threads underneath were not trimmed, and show through the fabric. Once it’s been quilted, you have to live with that. The wrinkles when a quilt is laid flat are the first indication there is a problem. Fortunately I was able to flatten this area. 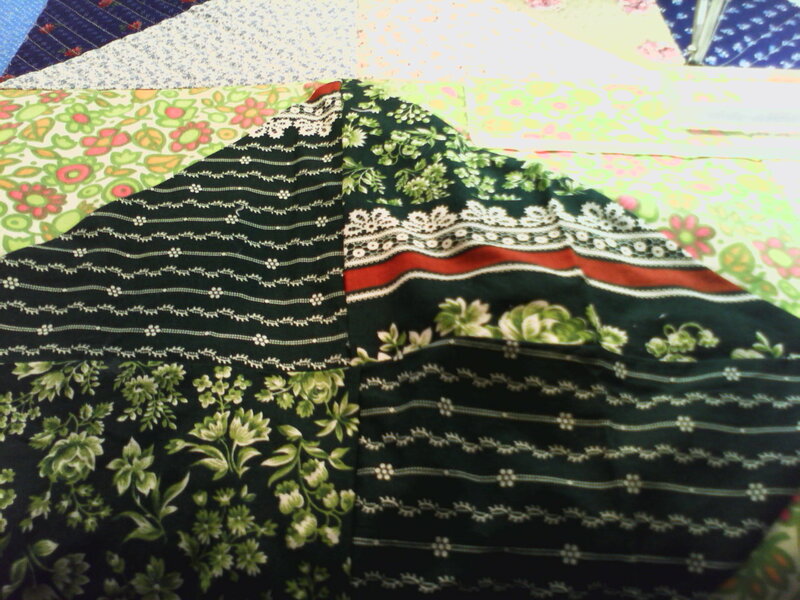 It was a charity quilt, and these were practice stitches, but you can see that puffiness can be dealt with. Play it safe! Don’t leave it to chance that your longarm quilter can fix your puffy areas. 4. Ensure your borders are not wavy. Much like the issue with puffiness, the borders being wavy means the amount of material in the border is more than the length of the quilt top inside the border. I have heard various methods to fix this, but those advisors themselves had border issues. So my advice to you: find a mehtod that works for you and stick to it. I do not measure my border length against the quilt length (many quilters will tell you to do this, and it is a good method). I simply lay my border on the table face up, place the quilt on top of it, right side down, and pin it, ensuring the sides of both are smooth and not stretched. 5. Ensure all of your seams are closed. A longarm quilter wants to do just that – quilt for you, not repair your quilt top before s/he starts. 6. If you stitch around a pieced top (not necessary with a single piece border), 1/4 inch in from the edge, this will ensure no additional stretching occurs. We do appreciate this, although most quilts come to us without. 7. PLEASE PLEASE remove any embellishments (actually just wait to add them until AFTER the top is quilted). There is a good chance something will be missing when your quilt comes back, or your quilter may have to leave space around an area because the machine can only get in so close. 8. No need to baste or pin! Don’t put the time and effort into it unless your longarmer requires it. Many quilters free-float the quilt as we go, qhich means if you baste or pin it, we have to remove all the pins or stitches to get started. 9. MOST IMPORTANT!!! Consult your longarm quilter for specifics. Each longarm quilter has specifications they can work within. Most often they will tell you guidelines similar to these, but you never know. 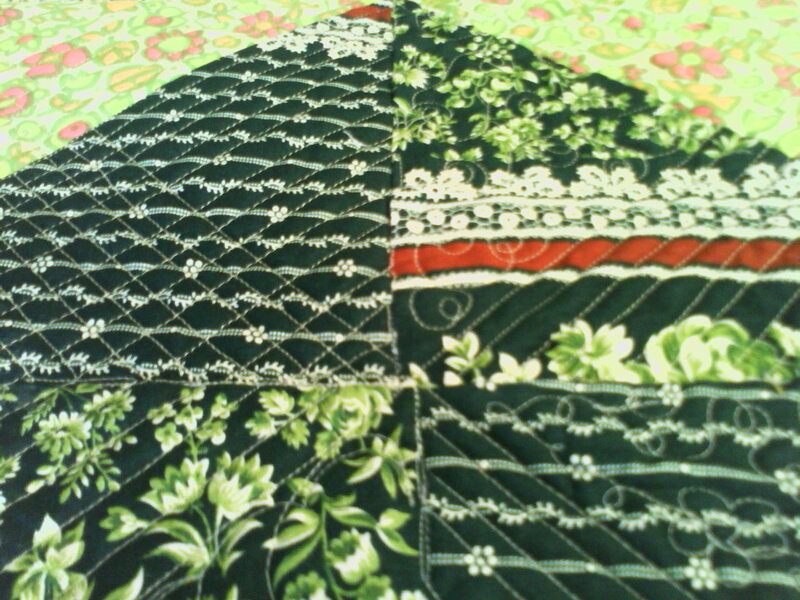 Tomorrow I’ll post some notes on preparing the backing for your longarm quilter. Happy sewing my friends! !